The seven Congregations were separated from the original Institute throughout history for geographic and political reasons. During the past century, different General Houses were born, and from them came various works in countries outside of Europe: Egypt, Israel , Lebanon, Mexico, Zambia, Tanzania, Senegal, Siberia, Romania. 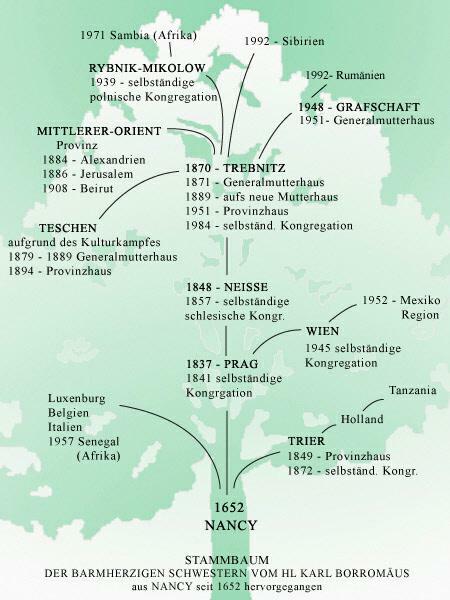 Since the year 1970, the different Congregations have been united into one Federation.